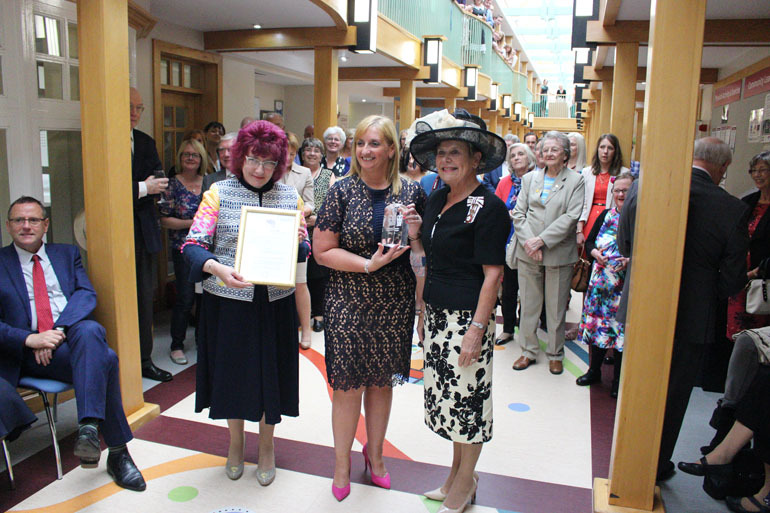 The Pioneering Care Partnership has formally received the Queen’s Award for Voluntary Service from Sue Snowdon, Her Majesty’s Lord-Lieutenant. Afternoon tea was later served to guests who included PCP’s longstanding Patron Lord Derek Foster, his wife Lady Anne and Phil Wilson MP along with local community champions and supporters. 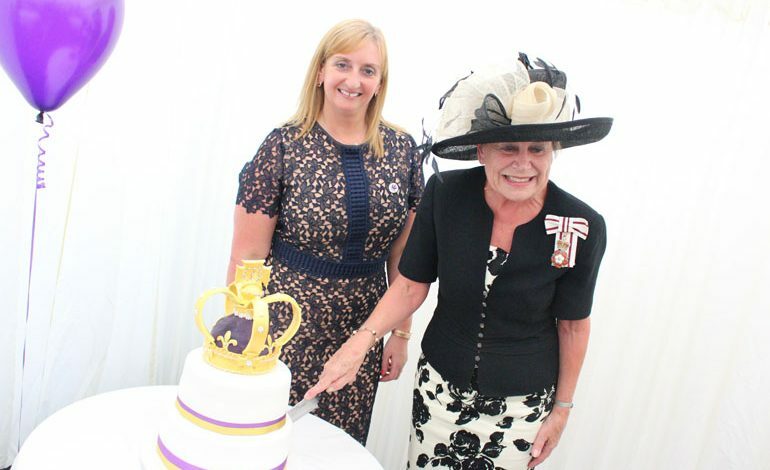 The day concluded with the cutting of a special Royal cake which was even topped with a crown! Mrs Snowdon said: “The Queen’s Award is not lightly given or easily gained, it is highly prized and recognised as a hallmark of excellence. Reflecting upon PCP’s achievement, Mrs Snowdon added: “What is particularly remarkable about the PCP is the way it has harnessed the motivation and talents of its many volunteers; literally hundreds of people give of their talents and time in a constructive way to the PCP. PCP’s chief executive Carol Gaskarth said: “It was an absolute privilege to receive the Queen’s Award for Voluntary Service on behalf of PCP. “This Award is very special and acknowledges the hard work and support of everyone who has been involved with PCP, past and present. “We are a creative forward-thinking organisation that thrives on innovation and change and this is only possible because of our fabulous team of staff and volunteers. “The Queen’s Awards is for everyone and provided a brilliant opportunity for us to say thank you.